State Library Victoria will once again open its doors after dark for the sixth annual White Night Melbourne. Artworks inspired by images from the Library’s collections – featuring magic, weird and wonderful creatures, and botanicals – will be brought to life in stunning projections across the Library’s facade and under its iconic dome. Last year more than 23, 000 people came through the doors of Australia’s busiest library throughout the all-night festival. State Library Victoria CEO, Kate Torney, said the Library’s projections have been a must-see since White Night Melbourne launched in 2013. “It’s fantastic to once again showcase the State Library and the work of talented artists as part of White Night Melbourne – an event that is now such a significant part of Melbourne’s cultural fabric,” Ms Torney said. The beautiful domed La Trobe Reading Room will feature ‘The Secret Life of Books’ animation, a projection inspired by the magic of libraries. The dome will transform into a magical world – a place where books come to life once the Library closes each night. The Library’s facade will feature the work of the 10 finalists from the Library’s #CreateArtHistory competition, which ran last year in partnership with independent art marketplace Redbubble. #CreateArtHistory called on artists from around the world to create beautiful artwork inspired by the Library’s vast collection of images dating as far back as 1493, themed around magic, weird and wonderful creatures and botanicals. After experiencing the projections, visitors can drop in to Cowen Gallery where there will be colouring and origami activities, as well as the chance to pull up a bean bag and sit and enjoy the gallery’s artworks. 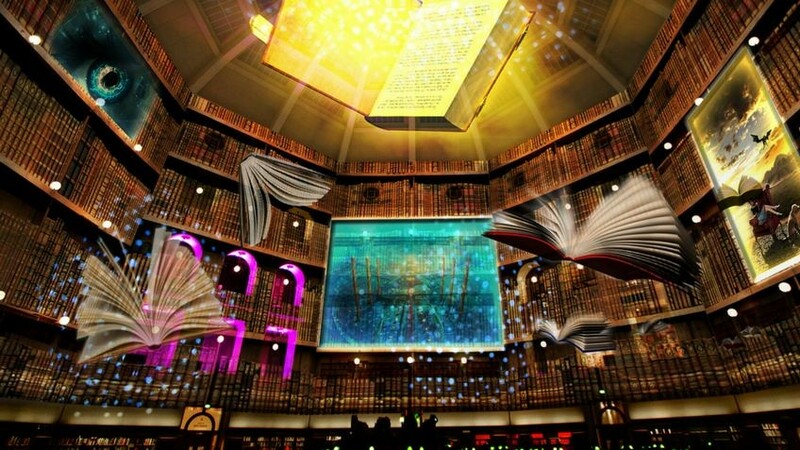 Both the ‘The Secret Life of Books’ and ‘#CreateArtHistory’ projections were created by The DAE White Night creative team and award-winning Australian company, The Electric Canvas.